GSMArena team, 25 April, 2016. 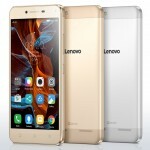 Affordable smartphones with specs that don't just scratch the spec sheet surface - those have been getting quite popular, and Lenovo is keen on being a part of it with the Vibe K5 Plus. 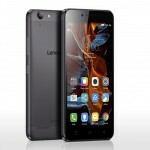 A 5-inch Full-HD screen, last year's top-selling midrange chipset rehashed for 2016, 2GB of RAM, a 13MP camera, dual-SIM connectivity, and a dedicated microSD slot sound like Lenovo's been paying attention to what's in demand. Certainly not going to shake up the Galaxy S7, but at around $130, it's a whole different piece of the pie the Vibe K5 Plus is after. First things first though - that name call for a little clarification. The K5 family consists of three models so far, the plain Vibe K5, the Vibe K5 Plus we have here, and the Vibe K5 Note. While some makers use the Plus to identify a larger screen, here it denotes the Full-HD resolution as opposed to the regular K5's 720p, and a Snapdragon 616 instead of a Snapdragon 415. And that's the entire list of differences. It's the Vibe K5 Note that stands out, being the phablet of the bunch. A 5.5-inch Full-HD screen, Helio P10 chipset and a fingerprint sensor, an 8MP selfie camera and a larger battery clearly put the Note a notch above its siblings. 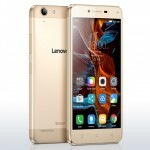 It's a whole different matter why Lenovo has the K4 Note and the K5 Note both at the same time with only marginal differences in specs. Back to the task at hand - the Lenovo Vibe K5 Plus. For $130 that's a very long list of features, and the disadvantages are far from deal-breakers. Perhaps the Android version is the one that stands out. With budget phones rarely getting updates, Lollipop is likely what the Vibe K5 Plus will spend its entire life with. 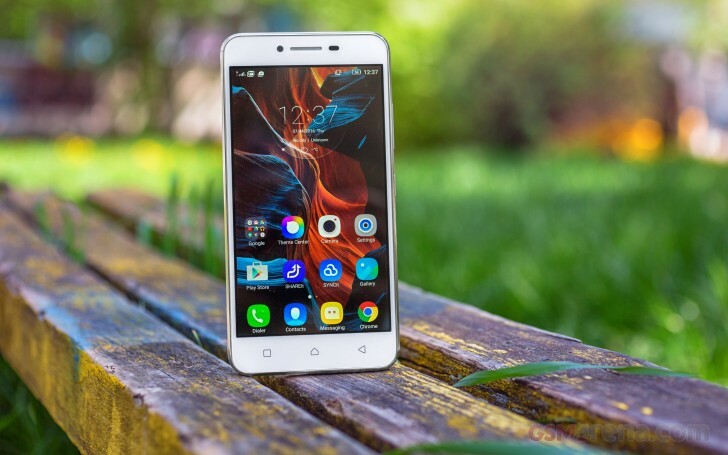 The limited availability is more like the reason for the Vibe K5 Plus' existence, rather than an issue with the phone itself - after all, it was made to compete in emerging markets where price is a decider. The storage cap is but a minor hassle that is having to swap 32GB microSD cards, but we're not seeing it as a major turn-off. Now, all that remains to be done is to find out if the spec sheet makes up a good smartphone experience. Joins us on the next page for the hardware overview.